I always like my kids to make a gift to give to family and friends but there are only so many drawings and paintings that they have room for. This activity is one that we have done each year and it is always very well received. I think that these look great, and they are super easy to make. My one year old made her own, as all that is required is to add stickers to plain pots. We planted herbs in ours, mainly because we have been growing herbs in our wheelbarrow herb garden, but also because they can easily be kept inside. 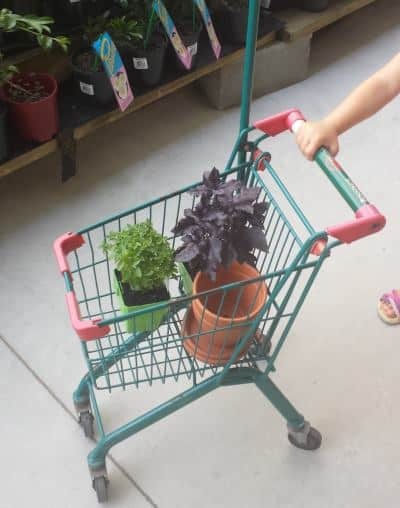 We had fun shopping for these as our local nursery has little trolleys which my kids love, and they were able to choose their own herbs and pots. Depending on the size of the pots you can get them from as little as $2 so this can be a really cheap gift too. Small plant pot & saucer. We used terracotta pots, but plastic ones would work fine too. 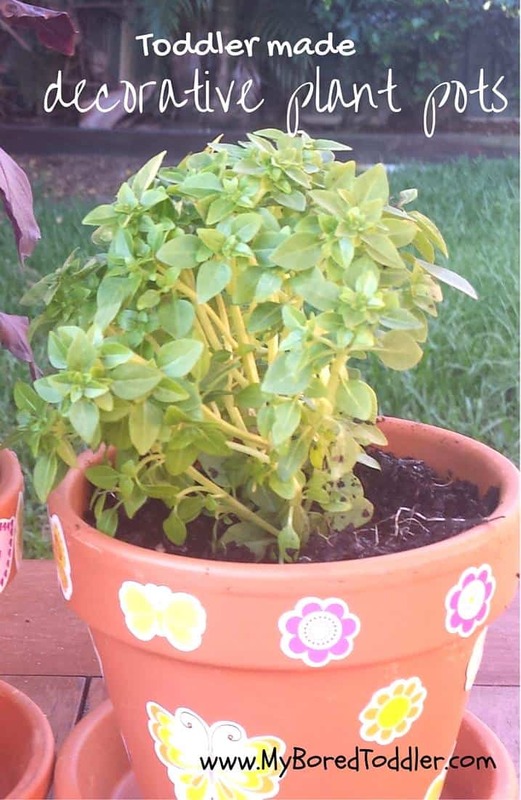 Put some potting mix into the plant pot and add the herbs (I let my toddlers do this part too). Water the plants – this is often the most fun part! If you liked this activity you may also enjoy our toddler made Christmas decorations. This post is part of a collection of kid made gifts. You can find more great ideas here or visit the next activity, Potato stamped tea towels from Kitchen Floor Crafts. So, so pretty! Thanks for participating!